The first thing to learn about WATER FILTER COMPARISON is to beware of companies who make claims which are not backed up by NSF Certification. Anyone can make a claim about anything and many water filter sellers make claims that are not backed up by the NSF. There are hundreds of companies and to compare the water filters made by all the companies would take a very big web site! However there are really only a handful of well respected and popular filters so that makes our job easier! $119.98/year (replace filter twice a year at $59.99 / 6 mo.) $57 / only 300 Gal. (they say to replace filter approximately every 4 mo. at $18.99 each) Note: this is only for 300 gallons a year as opposed to Multipure at 750 gallons a year. 300 gallons per year may not be enough for your needs. Per Gallon "Cost Of Use"
13 cents a gallon 19 cents Per Gal. How Many Contaminants Does It Reduce? NOTE: This table belongs to whatsthebestwaterfilter.com and anyone else who uses it has stolen it from me an will be prosecuted. There is a new NSF Standard 401 for which Multipure filters have been certified for by the NSF. This table was created by Whatsthebestwaterfilter.com and no one else may use it. Anyone else using it will be prosecuted. In case you aren't paying attention that is 15 contaminants reduced by the Multipure Aquadome and only 6 by the Aquasana. *NOTE re the above chart: All Aquasana figures based on "Performance Data Sheet" from their own Company web site; all Brita figures are based on their own data sheet; and all Multipure figures are based on the Multipure data sheet. This information was checked and compiled on 06-02-15. If you find ANY wrong information please contact me with proof and I will correct it immediately. These water filter comparison charts clearly show that Multipure is the best water filter! SHOP NOW FOR A MULTIPURE WATER FILTER! AND ALL FREE OFFERS ALLOWED BY MULTIPURE! you can rest assured you are getting the best deal possible! Cysts, Lead, MTBE, and VOC's (Volatile Organic Compounds is a whole group of contaminants, and is the same for both units under CA's certification system, so we have not included the list here, for either filter. You can find it in the full .pdf document, linked at the bottom of this page). Turbidity - "Higher turbidity levels are often associated with higher levels of disease-causing microorganisms such as viruses, parasites and some bacteria. These organisms can cause symptoms such as nausea, cramps, diarrhea, and associated headaches." Asbestos - "Increased risk of developing benign intestinal polyps"
Chlordane - "Liver or nervous system problems; increased risk of cancer"
PCB's - "Skin changes; thymus gland problems; immune deficiencies; reproductive or nervous system difficulties; increased risk of cancer"
Toxaphene - "Kidney, liver, or thyroid problems; increased risk of cancer"
Multipure's carbon systems filter all six of the above contaminants in addition to ALL the ones that Aquasana filters. 1) MP's filters are certified by the NSF and Aquasana's are not. 5) MP gives you a 90 day Money Back Satisfaction Guarantee - that means you can return it for any reason within 90 days if you are not satisfied , for a full refund of the purchase price. This is compared to Aquasana's 60 day guarantee. 6) MP gives you a LIFETIME WARRANTY on the housing so you will never have to buy a new housing if you maintain it as instructed (change the filter and clean the housing once per year). Don't settle for less! Doesn't your family deserve the very best? WHATSTHEBESTWATERFILTER.COM HAS BROUGHT YOU THIS COMPARE WATER FILTERS PAGE SO YOU CAN CHOOSE INTELLIGENTLY BASED ON DATA AND FACTS AND DETERMINE FOR YOURSELF WHAT IS THE BEST WATER FILTER. *This calculation is based on paying average prices on Multipure's cheapest counter-top system, and $59.99 every six months for an Aquasana replacement filter vs. paying $69.95 every 12 months for a Multi-pure replacement filter. At the end of 2 years you will have substantially less money invested into the Multipure than the Aquasana. From that point forward the Multipure will cost about $69/year to operate whereas the Aquasana will cost about $96-120/year to operate. Brita will cost more. 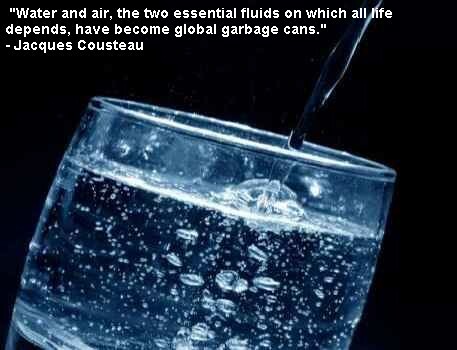 This is why when we compare water filters we have to take the cost of replacement cartridges into account! Note also that the Multipure reduces 3 important contaminants that the Aquasana does not, and that the Aquasana is not as well reviewed nor been in business as long as Multipure, Multipure gives a LIFETIME warranty whereas Aquasana does not! COMPARE THE NSF CERTIFICATION AND SEE HOW MANY AND WHAT PERCENTAGE OF CONTAMINANTS ARE CERTIFIED TO BE REDUCED (Frankly I would never buy any filter that is not NSF Certified, as otherwise, you have no guarantee at all the manufacturer or seller is telling the truth.) MULTIPURE IS NSF CERTIFIED TO REDUCE THE MOST CONTAMINANTS OF ANY OTHER NSF CERTIFIED FILTER! COMPARE THE WARRANTY - MULTIPURE HAS A LIFETIME WARRANY ON THE HOUSING SO YOU WILL NEVER NEED TO BUY ANOTHER! COMPARE THE GURANTEE - 30 DAYS? 60 DAYS? NONE? MULTIPURE HAS A 90 DAY NO QUESTIONS ASKED MONEY BACK GUARANTEE. A fair water filter comparison cannot be made without comparing the guarantee! COMPARE THE REPUTATION AND LONGETIVITY OF THE COMPANY - MULTIPURE HAS BEEN MAKING FILTERS SINCE 1970 (ALMOST 50 YEARS!) AND IS A LEADER IN WATER FILTER TECHNOLOGY! You may have seen another popular "compare water filters" or "water filter comparisons" page. You may wonder why Multipure is not on that page! It's no mystery! If you were a company with certifications less good than Multipure would you include us on your comparison chart? I will include ANY filter here if you can provide NSF certified stats that prove what your filter reduces and what percentages! We at whatsthebestwaterfilter.com are not afraid to stack up our Multipure filters against any other filter! Water filter comparison, then, is not that hard when you are armed with the facts and figures I have given you above.